When you think of devops, it’s sometimes like the guy at the right, scaling an impossible rock face. But it’s worth it when you reach the top! Amazon Web Services provides countless services & a dizzying array of options. How do we get the most of devops & automation that is the promise of the cloud? Google cloud is quickly catching up with Amazon and many startups are using or evaluating it. 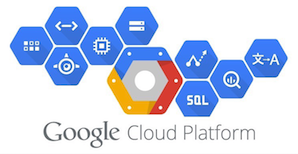 From BigQuery & Cloud Functions, to virtual network, IAM, storage and more. You’ll find many of the offerings available in AWS. Containerization is a powerful way to build & deploy applications for the cloud. Define & provision resources of your technology stack. Then modularize those to push-button deploy dev, qa, staging & production. Then use that infrastructure as code to use blue/green deployments to test your code releases. It’s all possible with this powerful multi-cloud technology. These days there are plenty of choices for a build server. CircleCI, Travis & Jenkins to name just a few. But ultimately it’s not which one, but that you’re automating in the first place. And with that you gain the benefits of more rapid iteration, fewer & less severe outages, and agile deployments. With server automation comes the need for configuration. Ansible makes a great choice because there are no agents required. That’s one less component you have to have sitting on your managed servers. What’s more there is no central server like you need with Chef. That’s one less machine requiring care & feeding, patching and availability. 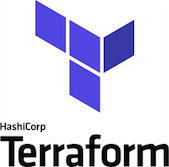 Just checkin your config code into github the way you checking your terraform provisioning code. Voila! Whether it’s building automation scripts, or backend software development, Python makes a great choice. It has a thriving community and tons of off-the-shelf packages & modules to choose from.